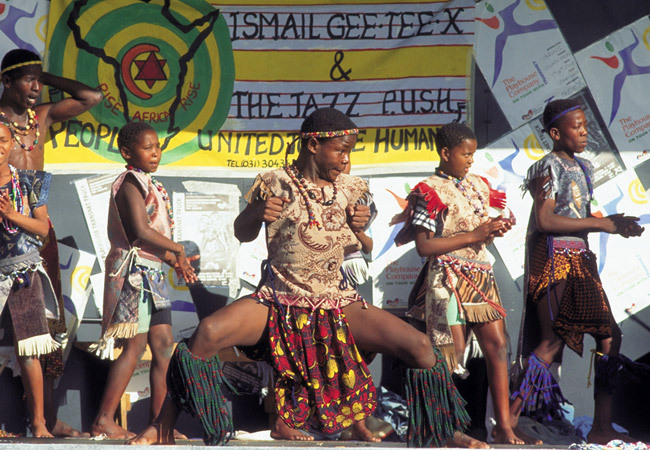 Annual Festivals / Arts & Culture / Music Festivals in or near Grahamstown, Frontier Country in the Eastern Cape, South Africa. The 2019 National Arts Festival will take place from 27 June to 7 July. The Grahamstown National Arts Festival: Africa's largest and most colourful cultural event offers a choice of the very best of both indigenous and imported talent. Every year for 11 days (June/July) Grahamstown's population almost doubles, as over 50 000 people flock to Grahamstown in the Eastern Cape for a feast of arts, crafts and sheer entertainment. Every hall or large room becomes a theatre, parks and sport fields become flea markets, normally quiet streets have to be managed by an army of temporary traffic wardens, and every available bed in the city is booked. The festival offers more than 500 shows from opera, cabaret, drama and jazz to stand-up comics and folk music. From theatre to dance, opera to cabaret, fine art to craft art, classical music to jazz, poetry readings to lectures, every art form imaginable is represented in one of the most diverse festivals in the world. And there's something for every taste, with techno raves, mediaeval banquets, craft fairs, cyber cafes, carnivals, buskers and walking tours. To avoid disappointment it is advisable to book your accommodation well in advance for this event. Visit the Grahamstown Accommodation pages to find guest houses, hotels and self catering places and for additional info about Grahamstown which includes attractions and Things to Do, see Grahamstown Attractions. While many come to take in the arts, others simply want to be here for the spectacle or to market products ranging from tie-dyed T-shirts and woven rugs to handmade jewellery and customized telephones. 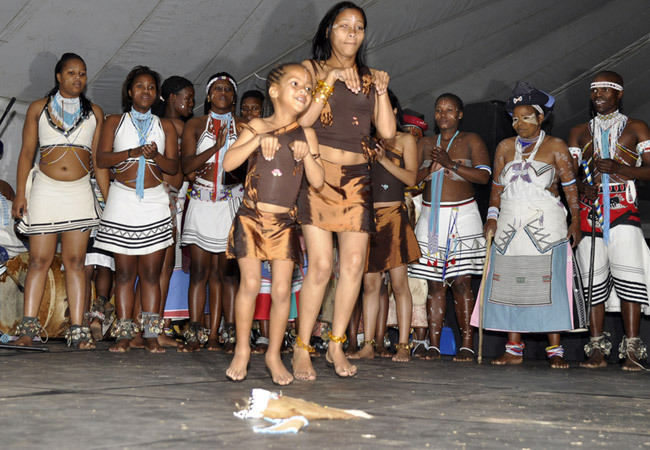 The festival operates out of the 1820 Settlers National Monument and is organized by the Grahamstown Foundation. • The Grahamstown National Arts Festival review.